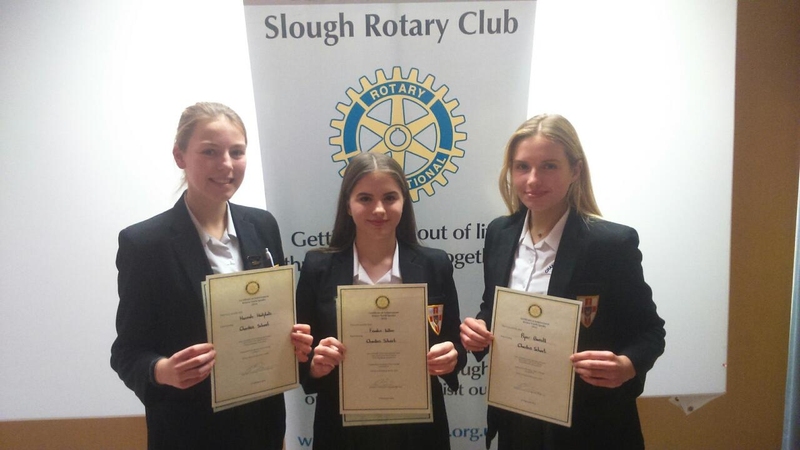 Last night teams from around Slough came together to compete in this year’s Orange Zone Youth Speaks Final hosted by Slough Rotary at The John Lister Post Graduate Centre, Wrexham Park Hospital. Rotary District 1090 includes thousands of members from 60 clubs in the Thames Valley, covering an area from Banbury in the North following the M40 down to Pinner in the East, Crowthorne in the South, across to Hungerford and curving back up to Banbury via Witney and Chipping Norton. The Orange Zone includes Burnham, Slough, Langley & Iver, Windsor & Eton, and Maidenhead. 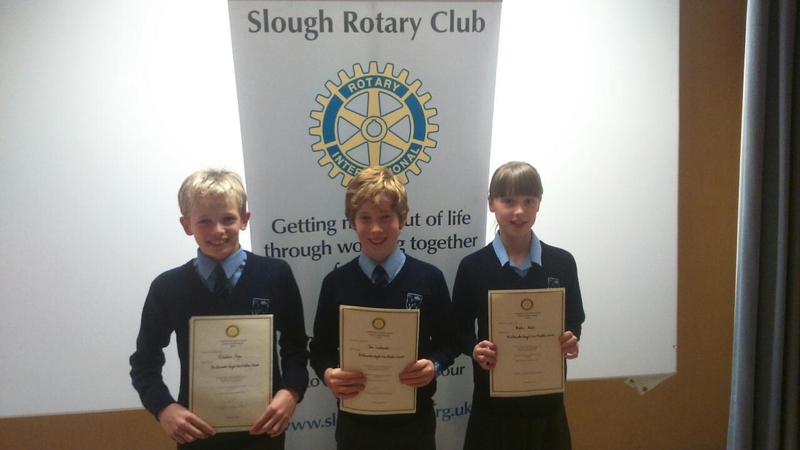 Each club had already run their heats and last night’s final included teams from Swakleys Girls School, St George’s Ascot, Beechwood School and St Edwards Royal Free Middle School in the Intermediate section and Charters School, Windsor Boys, Northwood School and St Bernards Catholic Grammar School in the Senior competition. With a vested interest in St Edwards and Windsor Boys, my fingers were crossed for what were shining presentations… and while Windsor Boys just missed out on the top spot to Charters School, St Edwards made it through to the District Final for the first time… yeehaa! I suggested Hannah checked out the work of Dr Emoto… when I heard about him I started signing off all my emails with thank you.